In this post we’ll cover knit 1 purl 1. You’ll learn what this knitting term means, how to do it, and what stitches it creates. We’ll also include next project ideas and stitch dictionaries to grow our knitting ability. There’s a lot of content in this post, so be sure to read all the way to the end so you don’t miss a thing! What Does Knit One Purl One Mean? 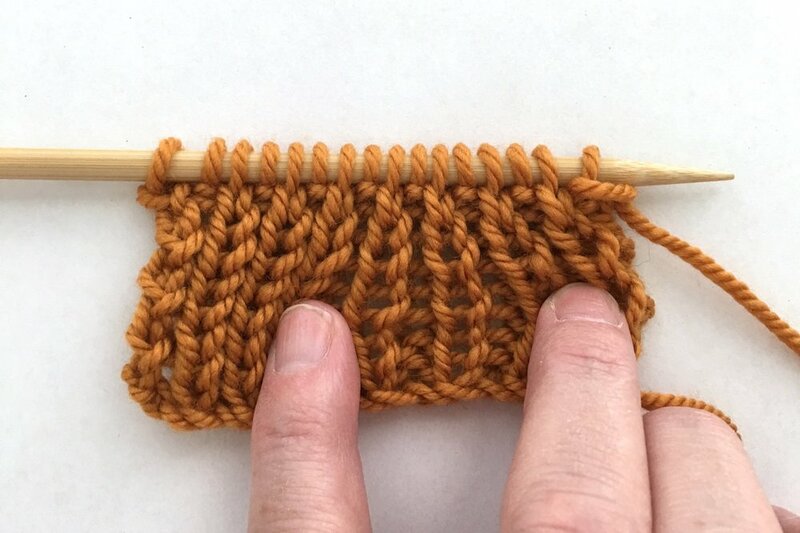 If you are to knit 1 purl 1, it means you will knit one stitch and then purl the next stitch. To make writing and reading patterns quicker and more efficient, knitting abbreviations are used so a pattern may show it as k1 p1. So whether you see knit 1 purl 1 OR k1 p1 it means exactly the same thing. Knit 1 purl 1 means that the first stitch is knitted and the next stitch is purled. If you are new to knitting, you’ll want to start here. Then, learn the knit stitch and the purl stitch. How to Go From Knit to Purl in the Same Row? When you knit 1 purl 1, the knitting pattern will usually instruct you to repeat those stitches across the row. You’ll need to know how to alternate the stitches. It’s not hard to do, I’ll show you how it’s done in the video below. FYI: I knit continental style, but switching between knit and purl stitches is the same no matter how you hold your needles. You can make two stitch patterns using knit 1 purl 1 - What makes knit 1 purl 1 so interesting is that by simply changing the next row, you’ll end up with two completely different stitch patterns. Sound confusing? Let me explain. When knits are stacked on top of knit and purls are stacked on top of purls, you end up with perfectly aligned columns. It creates a wonderfully stretchy fabric known as the RIB STITCH. Here’s what ribbing looks like in the image below. To work the rib stitch, cast on an EVEN number of stitches. Row 1: Knit 1 purl 1. Repeat across the row. Repeat Row 1 for all rows. See how beautifully those ribbed stitches line up in columns? 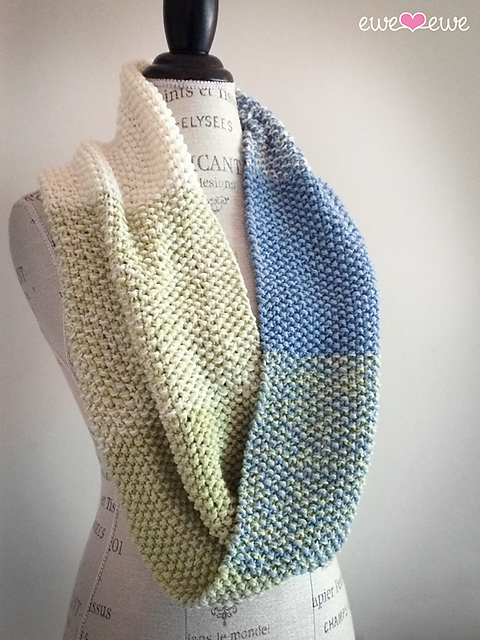 Since it’s stretchy, the rib stitch is ideal for knitting a project that hugs the body. If you look through some of your clothes, you may notice ribbing is use a lot in ready-to-wear garments. Ribbing is often used to knit cuffs and bottom bands on sweaters, wrists on mittens and gloves, tops of socks, leg warmers, and bands on hats. 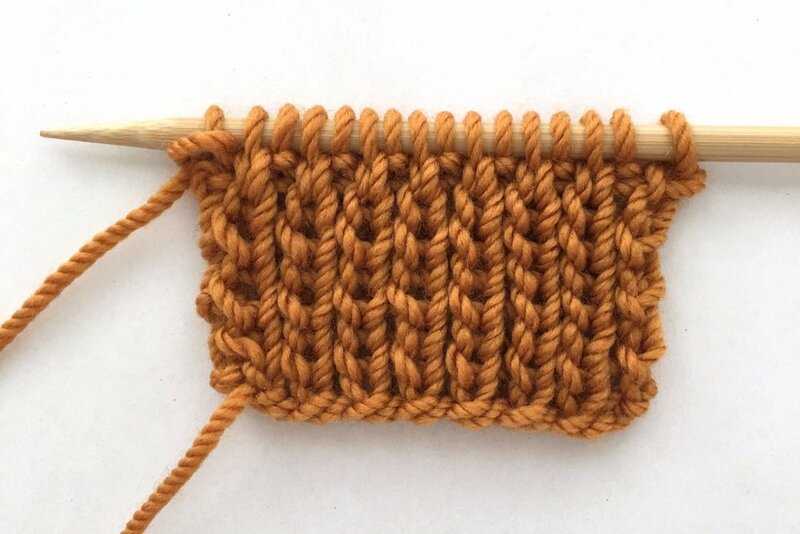 Knitting Tip: This stitch pattern is known as a 1x1 rib. If you wanted to create a knit 2 purl 2 rib, it’s known as a 2x2 rib. And a knit 3 purl 3 rib is known as a 3x3 rib and so on. How Do You Do the Seed Stitch? Instead of lining up the knits and purls in columns, what would happen if we alternated them in each row? We’ll end up with a seed stitch pattern! As opposed to the smooth rib stitch, the seed stitch creates a very textured nubbly fabric. It has a very relaxed nature so it’s best used in baby blankets, scarves, shawls, and sweaters. To work a seed stitch, cast on an ODD number of stitches. Row 1: Knit 1 purl 1. Repeat across the row to the last stitch. Knit 1. Let’s take another look at these two stitch patterns together (see photo, below). At the top, is the rib stitch with columns of stitches that hug the body. 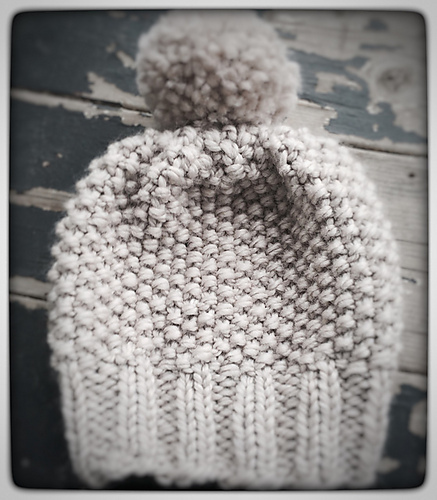 At the bottom is the seed stitch with a bumpy textures and relaxed drape. Knit and purl are the two FOUNDATION stitches in knitting. All other stitches are simply a combination or variation of these two stitches. Are you ready to expand your knitting prowess? Try learning new stitch combinations. Not only will they challenge you and help you grow as a knitter, they’ll provide you with an arsenal of stitch patterns you can use to create so many things! 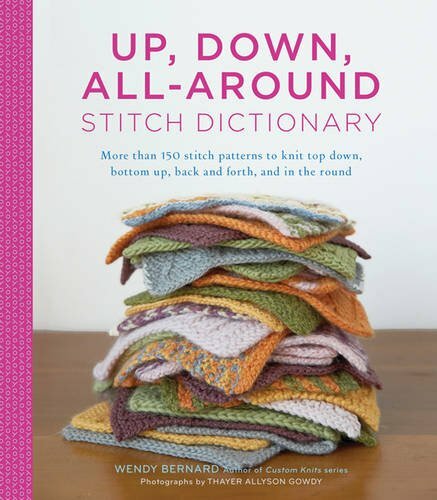 Check out some of these tried and true stitch bibles and dictionaries - they are essentials for your knitting library. Which is your favorite way to use knit 1 purl 1 stitches? Do you prefer ribbed stitch or seed stitch?